I have been taking this product now for a little more than 3 weeks... I lost a total of 8 lbs, but I workout almost everyday and eat right. 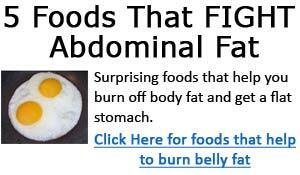 This product really does work with diet and exercise. However, the side effects are as follows: A little bit of weakness and slight headaches. While working out, I am sweating without putting a ton of effort. I recommend this product. I think that it is the most safest product out there and works! 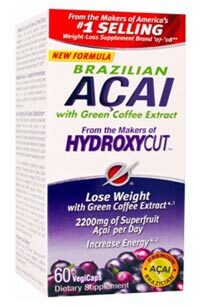 Hydroxycut Acai is certainly one of the more "milder" diet supplements made by Muscletech, as it has a rather simple formula that contains just a handful of ingredients - one of which is Brazilian Acai. Acai is referred to as a "super fruit" because of its many known health benefits. We will discuss this below along with the other key ingredients in this diet pill. As you can see, it has a simple formula. This product works great. It gives me a nice energy boost and helped me feel more awake. I didn't notice any negative effects from using it. Green coffee extract is a common ingredient you'll find in different Hydroxycut products, and it is also included in this version as well. Green coffee beans are fresh beans that have not been roasted yet. Standard coffee beans are roasted, and this roasting process removes much of the anti-oxidant and fat burning effects. I won't go into more details about Acai here. We have a detailed article about it here. With the ingredient mix included with Hydroxycut Acai, you have a nice and "mild" diet pill that will help increase your energy levels, provide various health benefits (Acai), and enhance your weight loss efforts. Hi everybody! You guys have to remember not everybody works the same. I've lost 4 pounds so far. My friend and I stared same treatment (diet and exercises) and he lost 7 pounds. He lost more weight but you have to take into consideration the effects may be different in each single person. 1. Diabetes Metab Syndr Obes. 2012;5:21-7. Epub 2012 Jan 18. Randomized, double-blind, placebo-controlled, linear dose, crossover study to evaluate the efficacy and safety of a green coffee bean extract in overweight subjects. Vinson JA, Burnham BR, Nagendran MV. Source Chemistry Department, University of Scranton, Scranton, PA, USA.